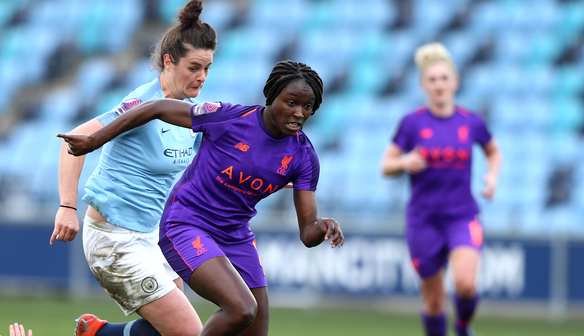 Liverpool FC Women fell to a 3-0 defeat away at Manchester City FC Women in the quarter-final of the SSE Women’s FA Cup on Sunday. Georgia Stanway netted twice and Janine Beckie was also on the mark for Nick Cushing’s side. After impressive victories over MK Dons and Millwall Lionesses in the competition, Vicky Jepson knew her team faced a difficult test against a City outfit who are one of the strongest in the Women’s Super League. The Reds started the game brightly, with the pace of the recalled Rinsola Babajide causing plenty of problems for the home backline. Babajide came close to the opening goal on 23 minutes when she cut inside and fired an effort just wide. Two minutes later, however, the home side went ahead - Beckie pounced to net beyond the reach of Anke Preuss. England stopper Karen Bardsley was then the hero for the hosts with a superb save to deny Babajide an equaliser. Jepson’s charges applied themselves well again in the second half but City managed to get the key second goal, Stanway making it 2-0 on 68 minutes. 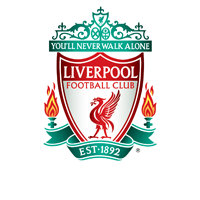 Liverpool had no luck in front of goal; substitute Leandra Little went close with a glancing header that landed just wide after an excellent delivery by Jemma Purfield. And, to rub salt into their wounds, City added a third goal three minutes from time as Stanway grabbed her second of the contest. Liverpool FC Women: Preuss, Robe, Purfield, Rodgers (Hodson, 90), Fahey, Bradley-Auckland, Babajide, Coombs, Sweetman-Kirk, Murray (Little, 75), Daniels.